Japan – Another country only increasing in popularity is Japan, which has been warming up for its moment in the rising sun. In 2019, Japan plays host to the Rugby World Cup, and hot on its heels is the summer Olympics in 2020. For 2019, G Adventures has revised its popular Tokyo to Kyoto tour, which will now travel further off the tourist trail to Tottori and Hagi. In Hagi, travellers will experience a new ‘G for Good’ social enterprise project, the Hagi Homestay Association, which creates purpose and an income for the ageing population of Hagi City. An 11-day trip from Tokyo to Kyoto is priced from AUD $4,249pp. Uzbekistan – In 2018, Uzbekistan relaxed its visa entry requirements by introducing an e-visa for 51 countries. Interest in the ‘Stans shows no sign of slowing down, with G Adventures seeing a 72% increase in travellers to Uzbekistan over the past five years. As a result, G Adventures has launched two new trips for 2019, including Best of Uzbekistan and Turkmenistan, with Turkmenistan a new country addition for next year. A 13-day trip is priced from AUD $2,399pp, travelling from Tashkent to Ashgabat. Senegal – West Africa is slowly recovering from a lapse in tourism following the Ebola breakout of 2014, and G Adventures is leading the way by introducing land-based trips in Senegal (and The Gambia) for the first time. Senegal is currently hoping to stimulate tourism, with a new airport near Dakar opening up. A 10-day tour Senegal and The Gambia trip is priced from AUD $2,699pp travelling from Dakar return. Taiwan – Another new destination for G Adventures in 2019 is Taiwan, which is one of the lesser-visited and most underrated countries in Asia. As food and travel become increasingly codependent, Taiwan has a growing reputation with travelling foodies, and the New York Times recently proclaimed it as ‘Asia’s most food-obsessed country’. A 10-day Taiwan tour from Taipei return is priced from AUD $3,249pp. Northern Sri Lanka – With sales up 58% year-on-year for G Adventures, Sri Lanka shows no sign of slowing down. G Adventures first launched sailing trips last year in the south, and introduced an eastern itinerary after the first trip sold out in a number of weeks. This month, Sailing Sri Lanka – North Coast launches, taking travellers to sail the far-north. This lesser-travelled region was cut off from tourism for decades due to civil war, but it’s now open for business. We suggest getting there before it becomes as popular as the rest of Sri Lanka. 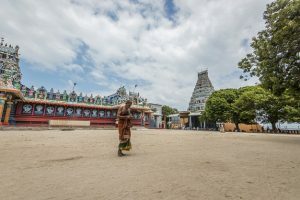 A seven-day trip from Jaffna return is priced from AUD $1,699pp*. Jordan – With year-on-year growth of 71% for G Adventures, it’s safe to say Jordan’s tourism is back, mainly as a result of stability in neighbouring Egypt. In recognition, G Adventures has introduced a new tour for 2019, as well as two new ‘G for Good’ social enterprise projects; the Jia Community Restaurant which supports local women in Souf, and the Al Numeira Environmental Cafe helping water conservation near the Dead Sea. The new ‘18-to-Thirtysomethings’ Israel & Jordan budget tour is priced from AUD$1,599pp for an eight-day trip travelling from Jerusalem to Tel Aviv. Iceland – The final season of Game of Thrones will again throw its filming locations into the spotlight and Iceland is no exception. G Adventures continues to see growth in tourism, with trip sales up 127% in the past two years. While many tourists stick to the main tourist sites, G Adventures takes its low-impact, small group tours further afield, ensuring the spread of tourism dollars. Such as its commitment to give back, G Adventures has also launched a new ‘G for Good’ project, the Solheimar Ecovillage, which supports people living with disabilities. The new Wellness Iceland trip is one of 10 new Wellness tours introduced by G Adventures for 2019, and the seven-day trip is priced from AUD $3,699pp, travelling from Reykjavik return. Ethiopia – Another African nation sneaking increasingly on to travellers’ wishlists is Ethiopia, with G Adventures seeing a 98% increase over the past 12 months. It’s also been in the headlines for all the right reasons, with the prime minister announcing half the country’s cabinet will be female, and the recent announcement of a new peace accord between Ethiopia and its neighbour, Eritrea. A 10-day Ethiopia tour from Addis Ababa return is priced from AUD $2,719pp. Italy – On May 2, 2019, Italy will celebrate the 500th anniversary of artist Leonardo da Vinci’s death, and there will be a host of celebrations taking place throughout the country. Despite some of its main sites being tarnished with the overtourism brush, there are still plenty of places to explore outside the major cities, such as on G Adventures’ new Local Living Coastal Tuscany trip, where travellers will be hosted at a former G Adventures’ chief experience officers’ family home in Capalbio. Priced from AUD $1,849pp for a seven-day trip from Rome return. Patagonia (Argentina) – Demand for G Adventures’ trips to Argentina have been steadily rising over the past five years, with sales up 15% in 2018 compared to 2017. Visitors to parts of Argentina in July will be treated to a solar eclipse on the 2nd of the month, and from October G Adventures’ will offer a new trip in its Wellness travel style, featuring morning yoga sessions and afternoon excursions in Patagonia.. An eight-day Wellness Patagonia trip is priced from AUD $3,999pp travelling from Buenos Aires return.